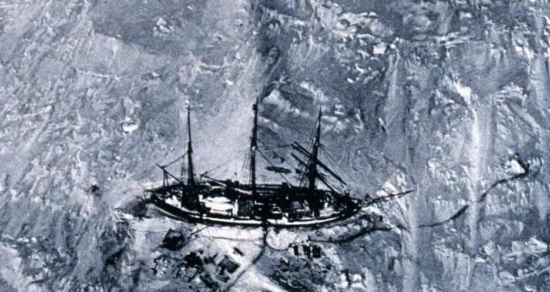 A German ship (The Gauss) in Antarctic Ice, as seen from a balloon in 1901. In stark contrast to the sharp decline in Arctic sea ice, there has been a steady increase in ice extent around Antarctica during the last three decades, especially in the Weddell and Ross seas. In general, climate models do not to capture this trend and a lack of information about sea ice coverage in the pre-satellite period limits our ability to quantify the sensitivity of sea ice to climate change and robustly validate climate models. In other words, the computer models that are based on our understanding of global climate predict that global warming should be causing a decline in both Arctic and Antarctic sea ice. However, that’s not what’s happening, at least according to the satellite record, which has been around for a little over 35 years. As a result, the authors of this paper decided to do something innovative: attempt to find out how much ice was in the Antarctic roughly 100 years ago. How did they do it? They examined the logbooks of explorers who attempted to reach the South Pole during the Heroic Age of Antarctic Exploration, which took place from the late 1800s to the early 1900s. Using those logbooks, the authors were able to produce what seems to be a fairly accurate map of the edge of Antarctic sea ice during that time period. However, these data don’t help to resolve the conflict between the Arctic ice record and the Antarctic ice record. In fact, they seem to amplify the problem. The study indicates that 100 years ago, Antarctic sea ice was, at most, 14% more abundant than it is today. However, most of that excess ice was concentrated in one region: the Weddell Sea. Ice in the rest of Antarctica in the early 1900s was very comparable to what we see today. Nevertheless, taken all together, the data do indicate that there has been a decline in Antarctic sea ice over the past 100 years or so. 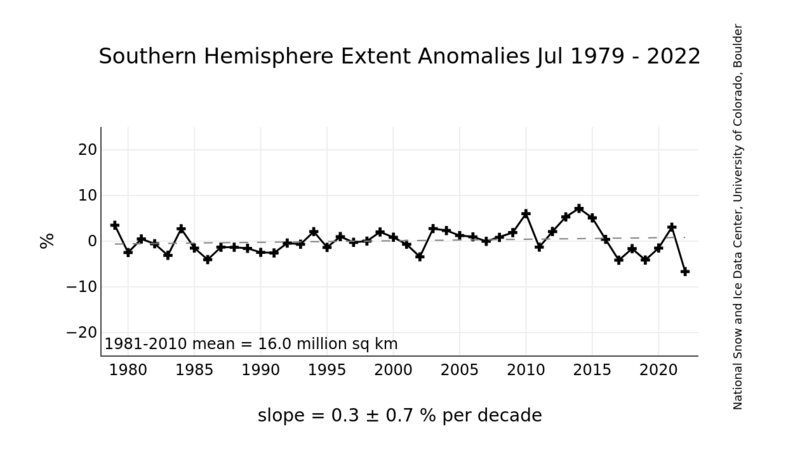 Surprisingly, this just adds to the confusion over Antarctic sea ice, at least when these data are added to the other data that have been collected over the years. Consider, for example, an ice-core study that was published 13 years ago. It indicates that in the 1950s, Antarctic sea ice was roughly 20% more abundant than it was in the early 2000s. Other studies agree. 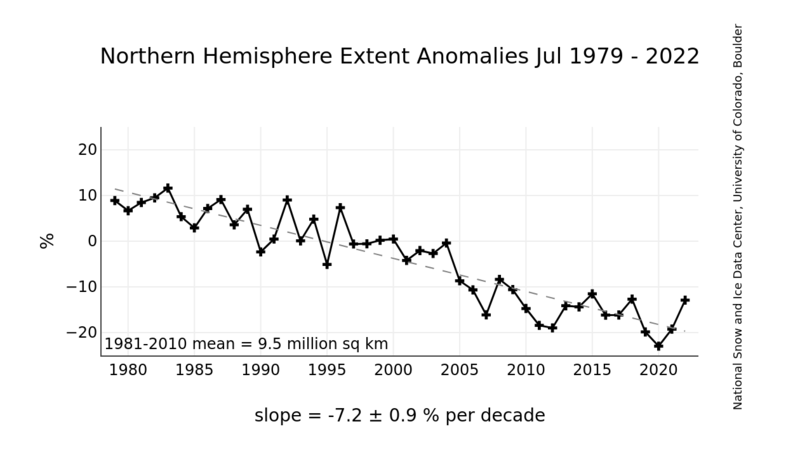 If those studies and this current study are accurate, Antarctic sea ice increased from the 1900s to the 1950s, then decreased from the 1950s to some point before 1980, and then started increasing again. Obviously, then, the behavior of Antarctic sea ice is complicated. Most likely, this is because the local climate of Antarctica is complicated. I suspect that local effects are far more important than global effects when it comes to sea ice in a specific location. As a result, I would think that the amount of ice at either pole is more indicative of local climate than it is of global climate. Thus, just as the increase in Antarctic ice is not an indicator of global cooling, I doubt that the decrease in Arctic ice is an indicator of global warming. Well, well, well…. I can think of at least one scientist who won’t be getting any carbon tax dividends in his stocking this year. At the very least these conflicting studies show that it is too soon to predict long-term global climate changes. We either don’t have reliable measurements over a long enough range, or the models are completely broken, or both. Probably both. Jay, I must say that along with Cornelius Hunter and John Hartnetts, this is the best blog around. I’ve been going through almost all of your previous posts and they are absolutely great and I’m glad you are a YEC. You should probably add Dr. Hartnetts blog in your links below. I must say I’m awfully confused why you have Todd Woods blog. He’s a Christian but he has extremely radical/questionable views and it seems that he isn’t a YEC because of the evidence, but just because of the Bible. Which I honestly respect but I think our position is extremely strong and that kind of thinking and attitude isn’t necessary and I find him quite depressing. His stance on certain fossils (sediba) is head scratching. He never talks evidence and because of that It seems like a rather pointless blog that certain evolutionists use the wrong way too attempt to use his words against us. Would you care to explain why hes recommended? Regarding this post, I’m glad I found someone that posts data against the doom and gloom climate change movement that Bill Nye, hollywood and the democratic party seems to often be fond of promoting. Thanks for posting the evidence because up until now I haven’t been able to form a opinion on it other then the dogma/propaganda was telling me that something is wrong with that view. Hard to think for yourself when that goes on. Thanks for your comment and your kind words, Brett. I have a link to Dr. Wood’s blog because he is an important voice in the young-earth creationist camp. His expertise is also very relevant to the origins issue, which makes him someone we ought to read. He certainly looks at things a lot different from the way I do, but I value that.